The Stonehenge Grove was established in the summer of 2008 to concentrate on all matters relating to Stonehenge. 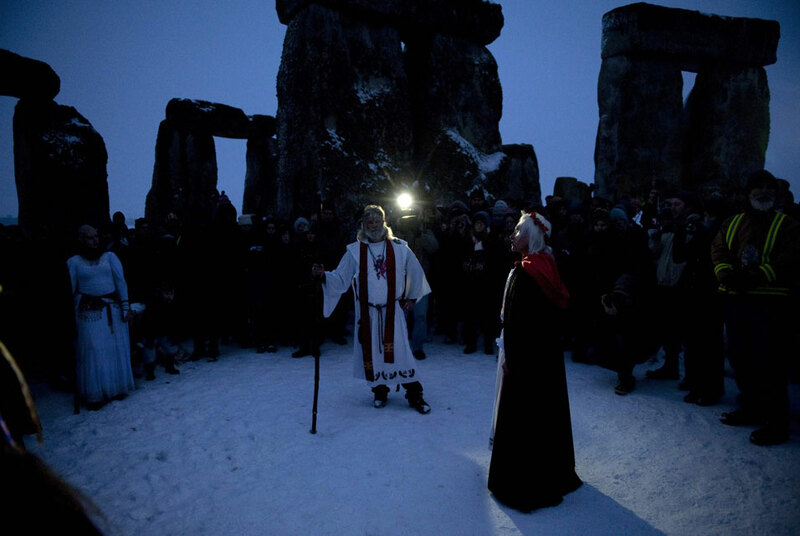 King Arthur Pendragon and Calliope Muse are the joint chiefs of this Grove and take the role of Priest and Priestess in the Grove Ceremonies conducted at Stonehenge. As well as the Ceremonial and Ritual side of Grove activity there is a very active Political Presence. This includes Highlighting issues through Protest and Press where appropriate and continued ongoing discussions with the Authorities through the regular attendance and representation at Round Table discussions hosted by English Heritage. It was The Stonehenge Grove that sat through and argued the points on behalf of The Council of British Druid Orders at the Public Inquiry in 2011 and helped secure the Drove, By-way 12 at Stonehenge as a By way Open to All Traffic and to oppose the Traffic Regulatory Order sought by Wiltshire Council. It is the Stonehenge Grove that mounts the Picket at Stonehenge and it is the Stonehenge Grove, through the Offices of King Arthur Pendragon that mount any Legal Challenges relating to Stonehenge through the courts.